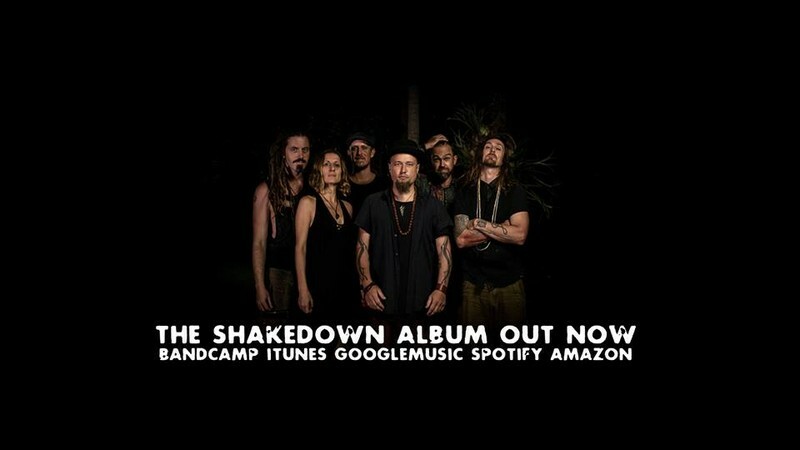 Soul, roots & reggae troubadours based in the Northern Rivers Bundjalung region of the Byron Bay hinterland. A well oiled touring machine featuring the killer rhythm section of TK Dread (fyah walk, 420 Sound) on bass & Hugh Jones (Darky Roots, Fyah Walk) on drums. Showcasing the words and music of song-smith Jesse Morris. With dub reggae legend Marky Power (Dubshack, Rosie Misschief) on the live onstage dubs and samples. Accompanied by a selection of the finest local players on sax, clarinet, bone, trumpet & keys—with Elena Maricgot, Chelbell, Stuart Currie, Simon Kay & Stafford Smith as the usual 'Shakedown' suspects. Jesse is the son of blues & roots legend 'John Morris' from the Blues Preachers & Narrow Necks. No strangers to the road Jesse Morris & the Shakedown have played over 200 live shows across the last 12 months in aid of their new album release 'the Shakedown' (2018) with events & festivals across all states & territories. celebrating roots culture, Island vibrations & African-Caribbean rhythms. For more details visit the Facebook page.